Bittersweet Enchantment: Blog Tour: Forever by Karen Ann Hopkins | Review + Giveaway! 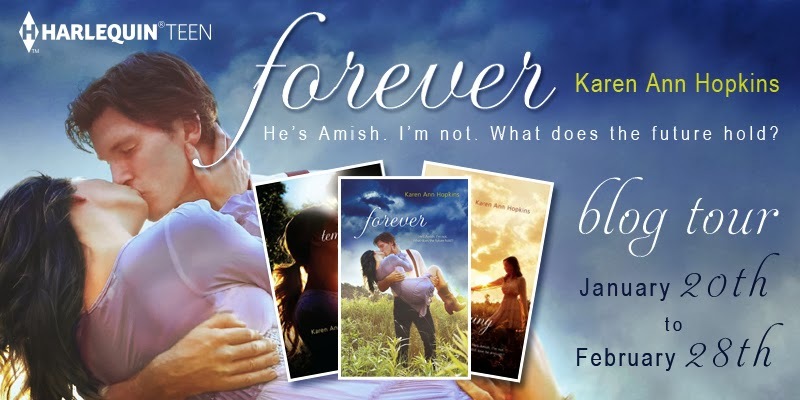 Blog Tour: Forever by Karen Ann Hopkins | Review + Giveaway! Today I will be sharing my review for the book as well as having a giveaway for some epic prizes! I truly hope each of you enjoy my review and learning more about this amazing series. My Review for book 1, Temptation | My Review for book 2, Belonging. All I want is my happily-ever-after. That's all I've wanted since meeting Noah Miller. From the day we met, the world has tried to keep Noah and me from being together, but now that I'm carrying his child, no one will be able to tear us apart. Or so I hope. But Noah and I have made some mistakes along the way, and the consequences are impacting the people we love. Worse, there's a storm on the horizon, and it's sure to cause serious devastation. If we can get through this, we'll finally be Rose and Noah; a family, forever. But first we have to survive the road ahead. And happily-ever-after is a long way off. This review will be spoiler free, since it is the final book in the series. Wow, where do I begin... This is once again the end of an unforgettable and beautiful series that I will cherish reading forever. The story of Noah and Rose is one that I will always remember and keep close to my heart. I am saddened to have to say goodbye to them but happy knowing they finally found the happiness they so rightfully deserved. If you've read Temptation and Belonging, book one and two in the series then I'm sure you know how much both Noah and Rose were forced to endure. Their love was constantly being tested and shunned by both Rose's and Noah's family. 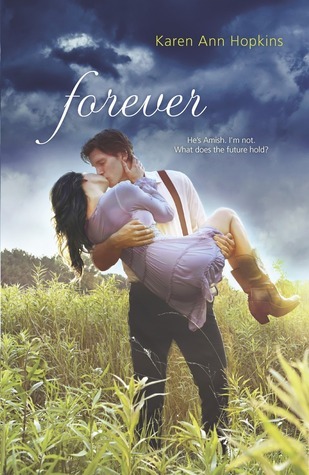 Like the books before, Forever picks up directly after Belonging ended. Rose is now faced with a brand new challenge, one that will change everything and everyone's life forever. This little miracle comes to be the answer to Noah and Rose's future together. I must say the phrase "Saved the Best for Last" comes to mind after reading Forever. I adored both Temptation and Belonging to pieces but Forever *happy sigh* was nothing short of a literary masterpiece. The perfect ending to Noah and Rose's story. I went through so many different emotions while reading - excitement, sadness, joy, hopeful, "heartbreaking and full out balling my eyes out". Truly words cannot describe how beautiful and moving this book is. Often I found myself wishing I could jump into the story and scream "JUST LET NOAH AND ROSE BE TOGETHER, FOR CRYING OUT LOUD!!!" Everyone and everything continuously tried to stop them from being with each other. What I loved about Rose and Noah is that no matter what challenges they had to go through throughout the series they both never gave up. Their love was so rare, and true that in the ending nothing could stop it, not even death itself. Beware: There is a part in the book where you WILL need a box of tissues. I literally had to stop reading because my eyes were blurred with tears. Another rare gem I found was the secondary characters. They all fit so well into the story and each of them were so richly developed throughout the series. I must say if I had to chose my favorites they would be Sarah (Noah's sister) and Sam (Rose's brother). I could totally see any of these characters getting their own novella. I cannot say enough good things about Forever and the entire series. Karen Ann Hopkins without a doubt is one of my very favorite authors. Her books and writing style are exquisite. She really knows how to capture the reader's heart and tell a heartwarming/breaking romance like none other. Totally EPIC! One of the best books I have read. A MUST read!! A native of New York State, Karen Ann Hopkins now lives with her family on a farm in northern Kentucky, where her neighbors in all directions are members of a strict Amish community. Her unique perspective became the inspiration for the story of star-crossed lovers Rose and Noah. When she’s not homeschooling her kids, giving riding lessons or tending to a menagerie of horses, goats, peacocks, chickens, ducks, rabbits, dogs and cats, she is dreaming up her next romantic novel. We have lots of exciting prizes, so make sure to follow the tour for more chances to win every day! Up for grabs is both a $100 Amazon Gift Card and a $50 Amazon Gift Card, plus copies of the following Harlequin TEEN titles: Heartbeat, The Queen’s Choice, White Hot Kiss, Anything to Have You, Secret Diamond Sister and Grim. Please enter via the Rafflecopter form. Giveaway is open to US/Canada. I just realize I don't have any of your books. Need to get in touch with them. Thanks for the book descriptions. Thanks for being a part of the Forever tour, Beckie! You have a great blog! I love it *_* , i would win . Book Spotlight: Deep Blue Secret by Christie Anderson | Excerpt + $50 Amazon GC Giveaway!